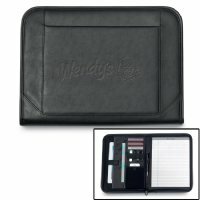 Simulated leather padfolio with exterior front pocket and 8.5” x 11” writing pad. Accessories not included. 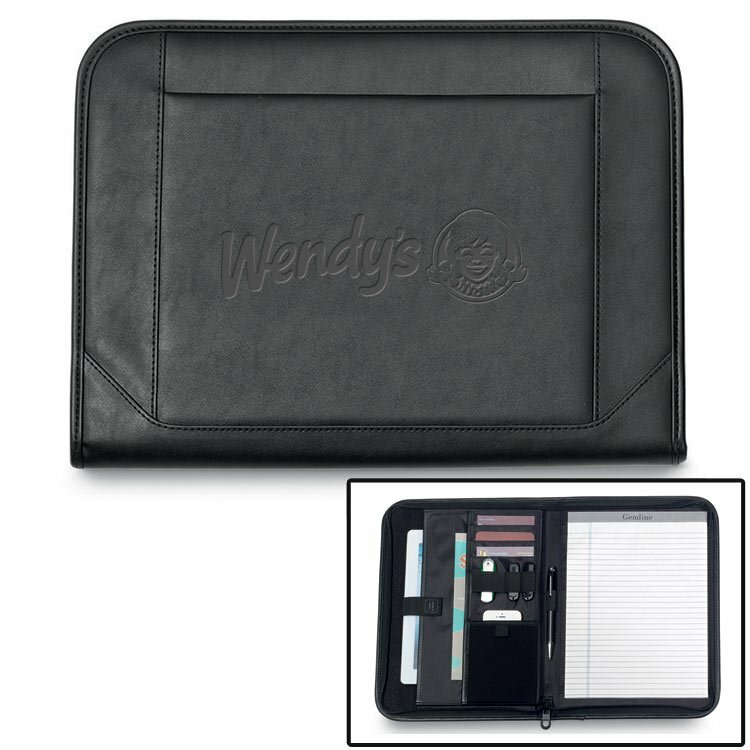 NEW FEATURES: Now fully zippered and includes protective tablet pocket on the interior.